Find a luxury hotel in Prague from the Hotique Hip Hotels Guide. Hotique is an independent guide, featuring luxury 5 star design hotels, hip hotels and unique boutique hotels including hip hotels in Prague. 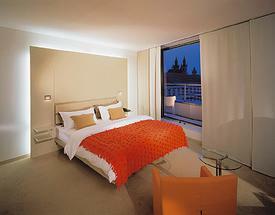 View our featured hotels in Prague below or search for a boutique hotel in Prague. The Hotel Josef in Prague is located in the centre of Prague, close to the Old Town Square, Wenceslas Square, Charles Bridge the hotel is the perfect springboard into the cosmopolitan life of the city. Close to "Namesti Republiky" and the "Mustek" metro stations.